The stunning Cruze curved shower family bathroom suite, features a stunning short projection toilet and basin with a quality 1700mm B-Shaped gloss acrylic shower bath. 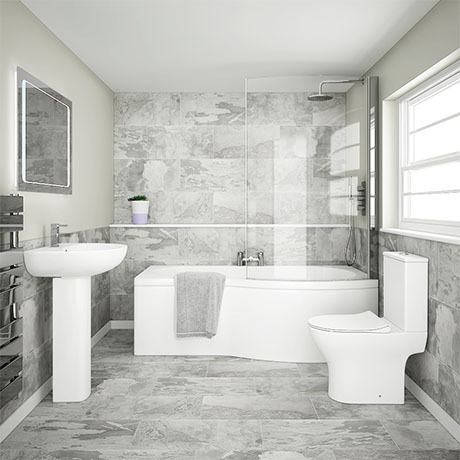 Transform your bathroom with one of our contemporary designer suites. Please note, optional bath end panel (BBTEP) sold separately.